I found a little crafty time with a break from the books to get another card ready for the beginning of school. My little man will have a few cards to give to his teachers. Hard to believe they will be back in one week. I know many have already started back. I feel like I didn't get much of a summer break and most importantly, I missed being able to do a lot with the short stack this summer. 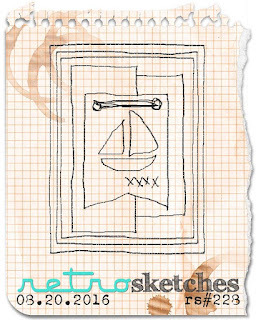 Inspiration was found with this weeks Retro Sketches layout. I am also sharing at Jo's Scrap Shack - Anything Goes. Tammy, your card is super cute. Loveeeeeeeee this! LOVING the pencil and the apple!!!!!!!!!!!!!! Yay, Tammy! SO happy to "see" you, my friend, and what a treat for us to find some new projects from you! 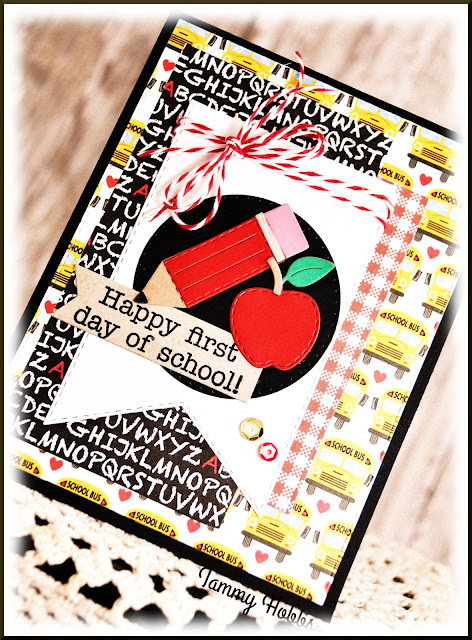 Your back to school card is absolutely adorable! Perfect papers and love the little pencil and apple. The big banner flag with the tied twine is fabulous, too. Your son's teachers will love this! 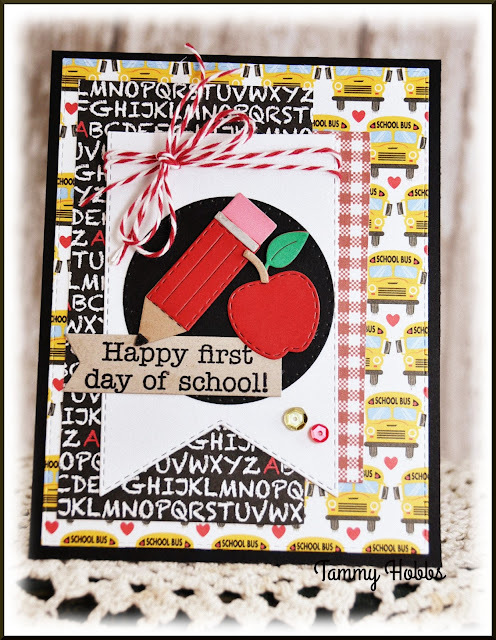 YOU always make the BEST back to school cards, Tammy! 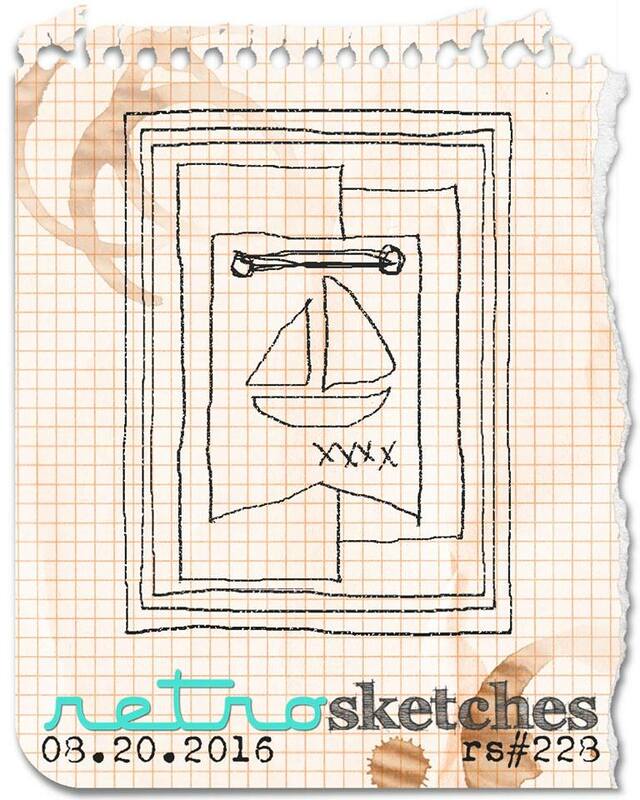 LOVE your papers and the pencil! Wow, what a great back to school card! FUn paper mix and adorable layering! Cute design! Layers of back to school cuteness Tammy!! Your son has some lucky teachers!! The summer does go quickly. I don't think they should start up until after Labor Day and be done right after Memorial Day. That's the way it was when we were kids! !